If you are playing music on a traditional FM/AM or digital station then you can broadcast it online to your Radio.co station. The Barix Instreamer is an ideal solution to take an existing stream and make it available to a wider audience over the internet. Find out more about the Instreamer here. 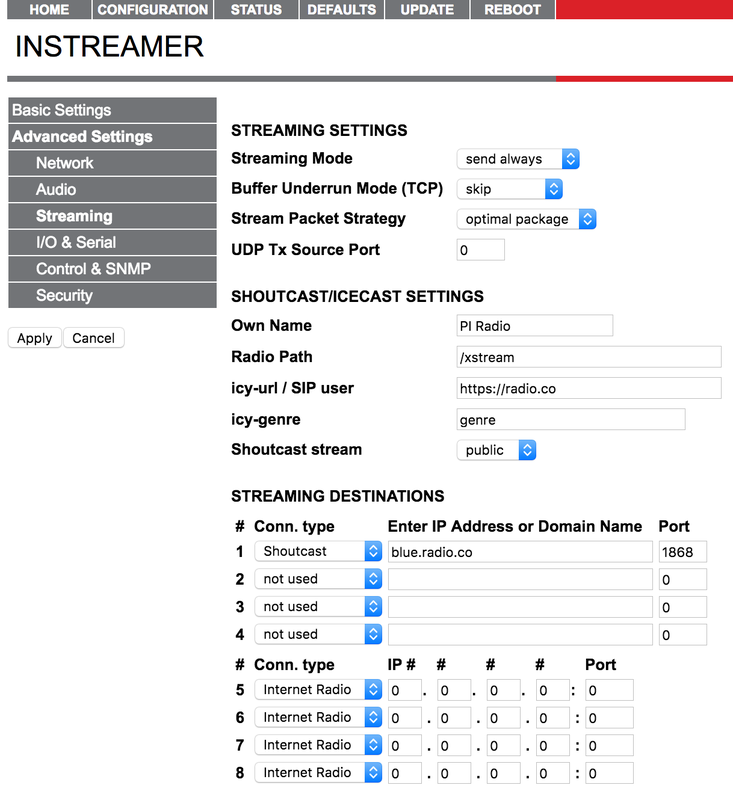 This guide is designed to show you how easy it is to set up a Barix Instreamer to broadcast to your station. For full instructions on the setup of the device, please refer to the manufacturer's Quick Install Guide. Connect the Barix Instreamer to your network or router using a standard network cable. Connect a pair of earphones to the front of the unit. Wearing the earphones, turn on the unit. The IP address of the Barix Instreamer will be announced - write this down. On a computer or tablet connected to the same network, access the IP address in a browser. The status page will load. 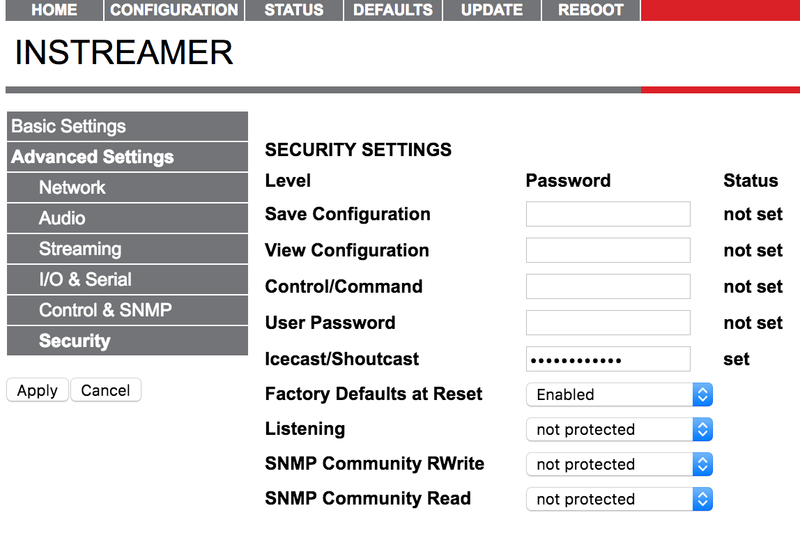 Click on the Configuration > Advanced Settings > Network. 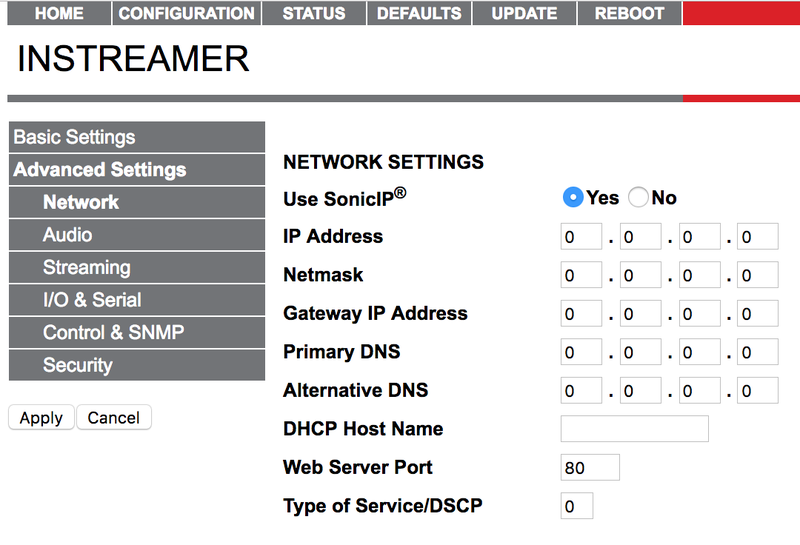 Enable SonicIP and update Web Server Port to 80. Leave everything else as is. 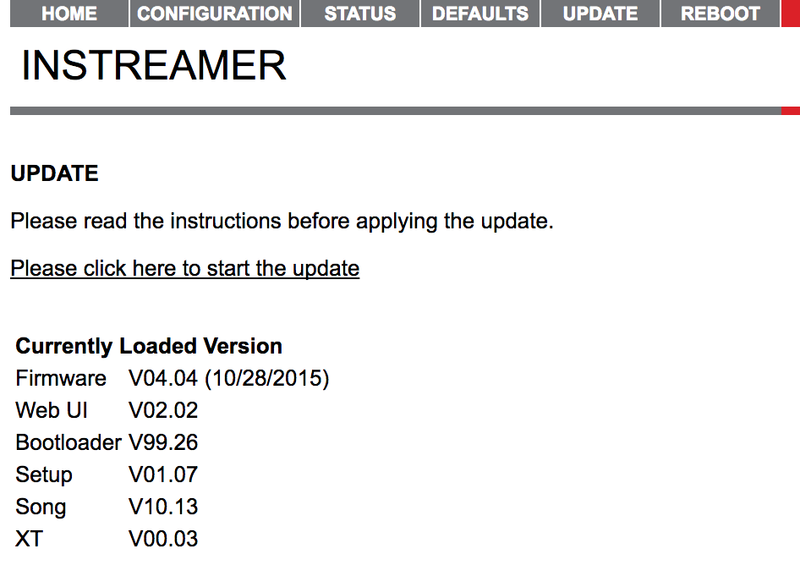 In order to use the Barix Instreamer, it needs to be updated to the latest firmware version. Login and download the Instreamer FW Kit here. 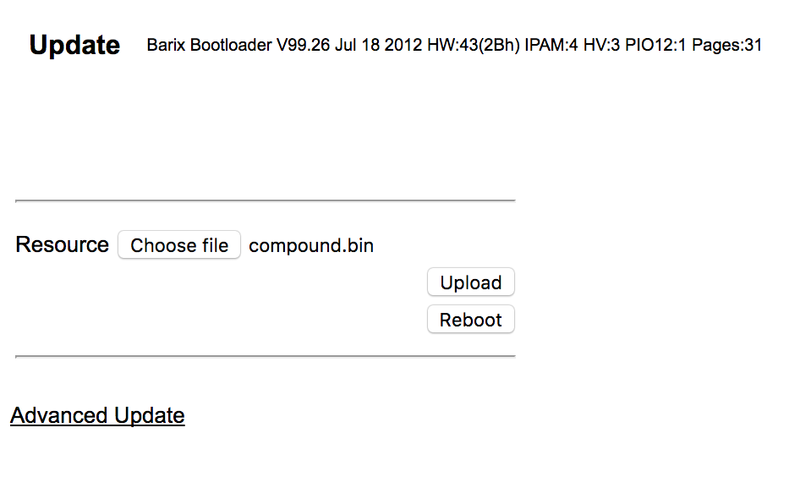 Unpackage the downloaded firmware. Click Update > Please Click Here to Start the Update. The Barix will be rebooted. Click Choose File, then in update_rescue select compound.bin within the firmware package. Click Upload and wait for confirmation. After the file completely loads, click on Update and then press Reboot to restart the device with the new firmware. The device takes a few seconds to reboot. In the Update area, the Barix should now be on the latest firmware version. Leave the other settings and click Apply. Finally, click Apply to save all your changes and restart your server. 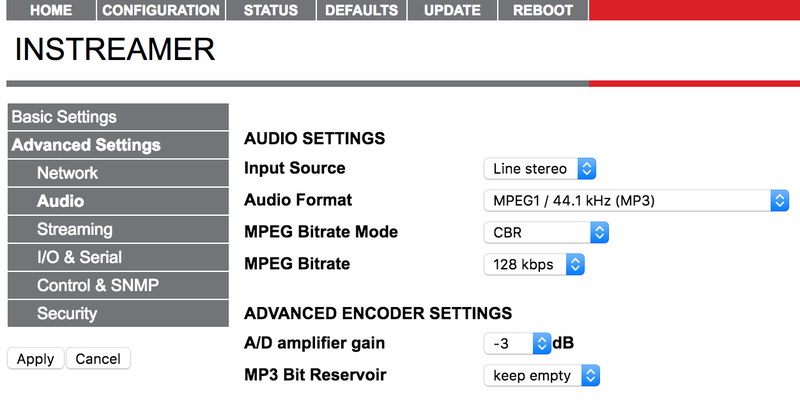 You can now send audio through the Barix Instreamer and to your Radio.co station online.